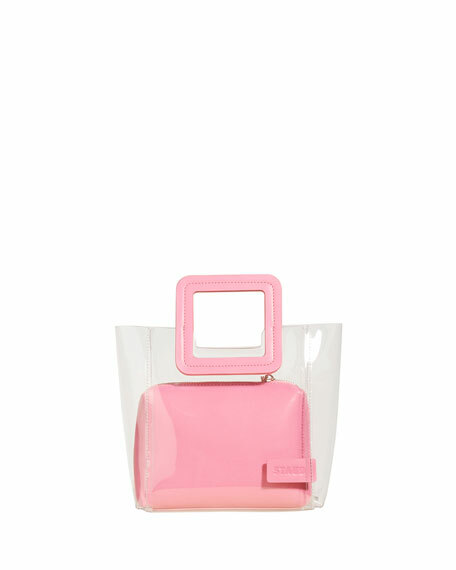 Staud two-tone tote bag in clear, heavyweight PVC with leather trim. Square cutout top handles, 2.3" drop. Open top; logo tab at front. Removable zip-top pouch in contrast leather. 7.9"H x 7.2"W x 4.3"D.
For in-store inquiries, use sku #2579280.